While London has an easy to use and extensive network of public transport it's not cheap. Most Londoners and commuters from outside the city use public transport to get around the city. Take a car and you'll end up in a traffic jam and if you're lucky enough to find a place to park it will be in an expensive car park. What's more there is a congestion tax for driving in the capital so it can cost you dear. The fastest way to get aorund town is by Lodon underground, known as The Tube or tkae famous red bus, most of the iconic double deckers have been replaced but there's still a good service and it's the cheapest option. If you prefer to avoid travelling with the crowds take a Black Cab. These are driven by Londoners who have passed The Knowledge test and know the city like the back of their hand. We've put together a complete overview of London's public transport to help you get around. 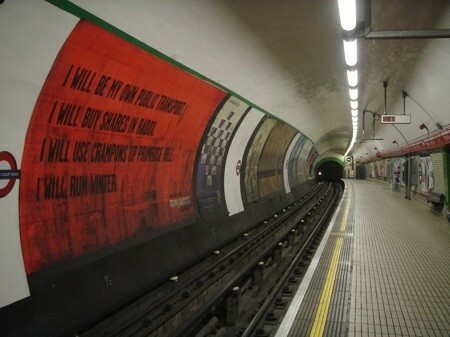 The Tube is the most widely used means of transport in the city carrying over a million passengers each day. Each line has a name, the oldest is the Nothern line and one of the busiest is the Central line. The name indicates the direction the tube travels. Northbound, Westbound, Eastbound and Southbound. At the entrance to the platform you'll see a sign with the direction. It's simple and you'll soon get the hang of it. USEFUL: pre-order an Oyster Card and save on travel by tube. Or choose a multi-day Travelcard. 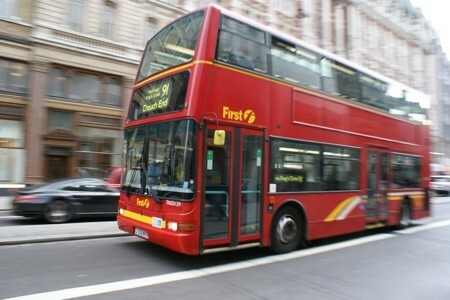 The red London Double Decker bus is instantly recognisable. Most of the old double-deckers have been replaced by new ones. Travelling by bus is not just a cheap alternative to the subway, it's also more fun. You get to se emuch more of th ecity, especially from the top deck. The bus network is extensive. At each stop you will find all information about the different routes. You buy your ticket in advance. There are often ticket machines at the stops but sometimes you pay the driver as you board, thou that's less common these days. You acn also buy tickets at major stations and at every tube station. Travelcards that you buy for the tube are also valid on buses so you can hop on and off all day. A single bus journey costs £2.00. An Oyster Card is much more cost effective (see below). When the buses stop running you can take a Night Bus. You'll recognise these by the letter N. Most of these buses run from Trafalgar Square. Be warned you must ring the bell when you want to get off. The driver only stops on request. USEFUL: pre-order an Oyster Card and save on travel by bus. Or choose a multi-day Travelcard. It's much cheaper and easier to buy your ticket in advance. You can do this over the counter at the station or at a machine. If you're stayin for a few days then take advantage of a "Travel Card". This card is valid from one to seven days and can be used on all public transport in London. You can buy in advance online. The Oyster card is the cheapest and easiest way to travel around London. London was one of the first European cities to introduce an electronic pass for all public transport. You can also buy a Visitor Oyster Card, and make big savings. You can add money to your Oyster card at the machines in stations. You swipe your card at the gate to enter and leave the tube and the cost of the journey is debited. Pay for buses, trains and some boat services with the card by swiping the reader as you enter. You can buy Oyster Cards in advance. It costs £3 to buy the actual Oyster Card. You pay £13 upfront which means you have £10 credit for travelling. The card is rechargeable at all stations, Oyster Cards shops and information booths. You can choose a card with credit of £ 10, £ 20, £ 30 or £ 40. The London Black cab is a world famous feature of London. These cabs are very good. They can take up to five passengers and the dirvers know every short cut in the city. Black cab drivers never use sat nav. They have spent three to four years of training which involves travelling around London on a scooter before taking a gruelling test known as The Knowledge. You'll see a taxi is free by the yellow light on top. You need to hail the driver by sticking out your hand and flagging it down. There are also official taxi stands. The prices are reasonable for short journeys across London. Average cost of a 10 to 15 minute journey is around £8 to £15.You can pay by credit cards in some cabs these days. You'll see a sign in the window. 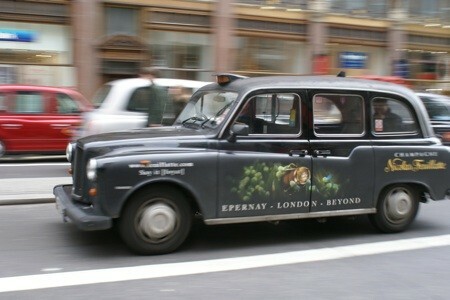 There are lots of other cabs on the streets of London but they are booked with companies in advance. Beware of unlicensed cabs, especially in the evening. They have no meters and prices are high. These are not regulated and not a safe option especially at night. If you don't see the "licensed cab" sign don't get in. You won't look like a tourist if you use a map in London. Most Londoners check their maps regularly, it's a big city. The British not only queue but have adopted rules for travelling on escalators. Follow them or face angry Londoners. It's simple, stand on the right and walk on the left.